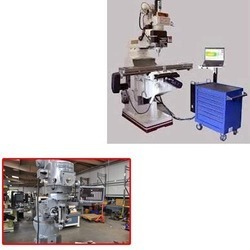 M/s Skoda machine tool works – Czech Republic jointly executed by VHSM and VHS . This is a unique job carried out by VHS team. With X-axis 16 mtrs having twin table arrangement, Y-axis 3 mtrs , Z –axis 1.5 mtrs with spindle power of 100 Kw retrofitted with Siemens 840 D.